As multinational companies continue to expand service offerings across the world, learning & development organizations must expand their workforces in kind. For practical and fiscal reasons alike, this expansion increasingly takes the form of virtual, cross-border L&D teams. The benefits of a virtual and global workforce are clear, but the challenges and potential pitfalls are not always so obvious. When it comes to instructional design engagement across regions and time zones, there’s a combination of factors to consider: cultural and language differences, communication technology, conducting effective content, task and audience analyses, working with SMEs, facilitating content review sessions, holding creative virtual brainstorming sessions, and managing alphas, betas, pilots, updates etc., etc. ... It’s a lot to juggle! The Association for Talent Development recognizes the importance of navigating this state within the learning and performance arena, with “having a global mindset” as one of the foundational competencies of the updated ATD Competency Model. Key actions associated with these competencies include appreciating cultural differences, conveying respect for different perspectives, developing cultural awareness, adapting behavior to embrace differences, advocating the value of diversity, and maximizing effectiveness through diverse contributions. For virtual instructional designers who are located remotely from colleagues and clients, particularly when working across borders, the experience of being a virtual learning professional can be jarring. Try to embrace the silver linings. For instance, an ID halfway across the globe may have meetings scheduled for early morning or late at night; on the upside, this means extended periods of pure, uninterrupted worktime, wonderfully conducive to concentration and productivity. Here are a few key recommendations for building and maintaining a successful virtual instructional design team. First and foremost, research the specific cultural differences and similarities of your global L&D colleagues, clients, and subject matter experts. Much of this research can be done via the internet—LinkedIn, company websites, business review articles, keyword searches into norms and practices—but much value comes from talking with people directly. Consider allocating global team members a “buddy”—someone part of or close to the culture to which they need to acclimate, as relevant. Use virtual meetings software to hold effective meetings and brainstorming sessions, and make sure all team members know how to make full use of it. Leveraging functionality, such as shared whiteboards, chat functions, and annotations, can work well when used for collective brainstorming sessions. Another option is simply to share one’s screen and capture notes and thoughts as others contribute. Develop a meeting protocol, including setting expectations upfront for what the meeting is about and how it will be run—for example, showing content and asking questions, and then requesting others to contribute. Create clear internal communication and reference material regarding processes and methodologies, ensuring that everyone is on the same page. Documented processes should include handover points between the ID team and other areas of the learning function, to ensure a seamless workflow. Take nothing for granted—plan ahead. This is especially important in a global team arrangement. Take time upfront to discuss project working relationships, constraints (such as working times across global time zones), and mitigation actions. The goal is to ensure that all team members feel that projects are set up so that all members feel heard and supported. Be transparent with clients and/or business partners relating to time zones, working hours, cultural considerations, and available communication channels. Discuss and agree on expectations regarding turnaround times and availability. This is fair to all parties, can prevent myriad misunderstandings later, and may even open up new opportunities to realize unexpected efficiencies. Include intercultural information and research in onboarding activities for new team members. For example, provide new staff with short biographies of all team members, highlighting interesting facts about them, such as the languages they speak, how they prefer to be greeted, and any other important information related to fostering positive interpersonal relationships. You could also request new hires to research selected topics related to the cultural diversity of the team and create an artefact to share and discuss with the broader group. Adopt a change management mindset. Understand that it may take a bit of time for your global team to gel. Finally, be cognizant of communication issues that can trip up a global, virtual learning organization, which you might otherwise take for granted. Not being able to read someone’s expression, worrying about speaking too quickly, too slowly, or too differently, can take quite a bit of getting used to. For effective virtual meetings, have a succinct agenda that tightly manages the discussion, following the topic-decision-action approach. And don’t think of silence during virtual meetings as uncomfortable, but rather embrace it as an opportunity for people to gather their thoughts and speak as and when they are ready. Diversity of experience and perspective, more extensive workday coverage, and fiscal efficiencies are all major positive outgrowths of a global L&D team. 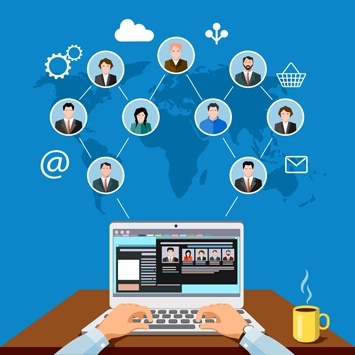 As long as you stay on top of the associated cross-cultural and logistical challenges, implementing a virtual workforce can help your L&D organization thrive. Laura Dall is a former learning solutions manager for Caveo Learning. She is a Certified Professional in Learning & Performance (CPLP) and a Certified Performance Technologist (CPT). Based in Johannesburg, she holds a bachelor's in social science from the University of Johannesburg.